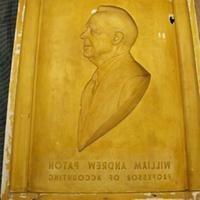 Portrait relief mold for William Andrew Paton. 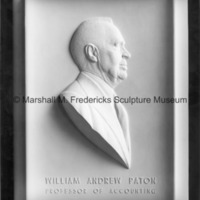 Inscribed on the bottom is "William Andrew Patton professor of accounting". 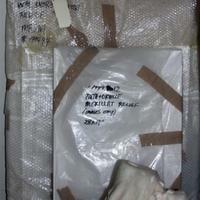 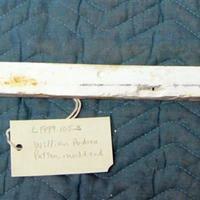 The mold is stained a yellowish color from the shellac used to seal the plaster.